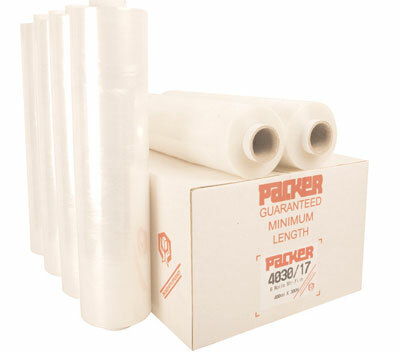 Multi pack fork lift labels - A5 no fork lift trucks self adhesive vinyl labels 6 pack. 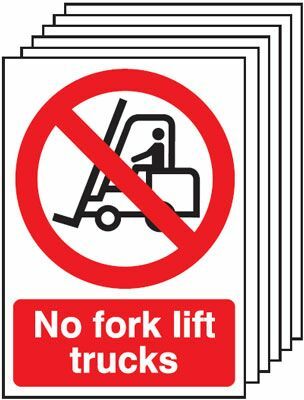 Multi pack fork lift labels - A4 no fork lift trucks self adhesive vinyl labels 6 pack. Multi pack fork lift labels - A3 no fork lift trucks self adhesive vinyl labels 6 pack. Multi pack safety signs & labels - A5 keep clear self adhesive vinyl labels 6 pack. Multi pack safety signs & labels - A5 keep clear 1.2 mm rigid plastic signs 6 pack. Multi pack safety signs & labels - A4 keep clear self adhesive vinyl labels 6 pack. Multi pack safety signs & labels - A3 keep clear self adhesive vinyl labels 6 pack. 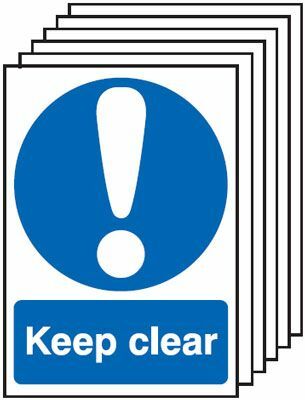 Multi pack safety signs & labels - A4 keep clear 1.2 mm rigid plastic signs 6 pack. 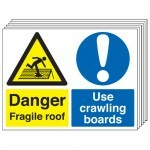 Multi pack safety signs & labels - 300 x 500 mm keep clear refuge point self adhesive vinyl labels 6 pack. Multi pack safety signs & labels - 300 x 500 mm keep clear no parking self adhesive vinyl labels 6 pack. Multi pack safety signs & labels - A3 keep clear 1.2 mm rigid plastic signs 6 pack. 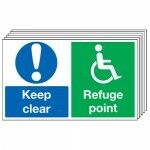 Multi pack safety signs & labels - 300 x 500 mm keep clear refuge point 1.2 mm rigid plastic signs 6 pack. 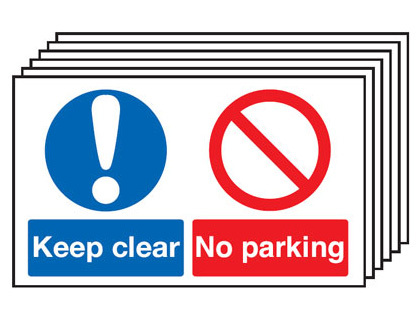 Multi pack safety signs & labels - 300 x 500 mm keep clear no parking 1.2 mm rigid plastic signs 6 pack. Multi pack safety signs & labels - A4 keep clear 1.2 mm rigid plastic signs with self adhesive backing labels 6 pack. Multi pack safety signs & labels - 300 x 500 mm keep clear no parking 1.2 mm rigid plastic signs with self adhesive backing labels 6 pack. Multi pack safety signs & labels - A5 keep this door closed self adhesive vinyl labels 6 pack. Multi pack safety signs & labels - A4 keep this door closed self adhesive vinyl labels 6 pack. Multi pack safety signs & labels - A3 keep this door closed self adhesive vinyl labels 6 pack. 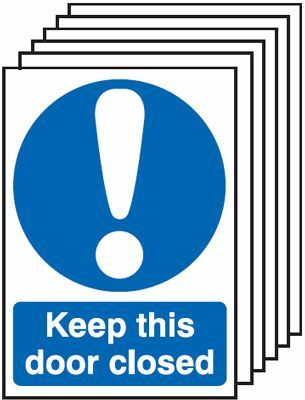 Multi pack safety signs & labels - A4 keep this door closed 1.2 mm rigid plastic signs with self adhesive backing labels 6 pack.